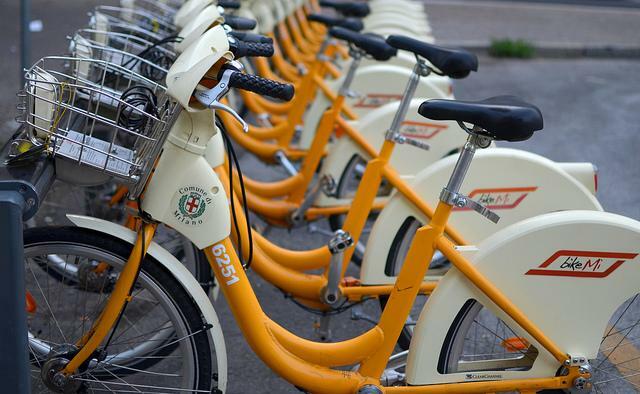 Austin could see bike-share programs like this one in Milan some time this year. Austin is full of bike lovers. But not everyone has the wheels with which to whip around town. Enter: bike sharing. Annick Beaudet of the Public Works department tells KUT News that the program has seen “complications,” and that a launch planned for this spring – which would’ve coincided with May as National Bike Month – will be delayed. Austin’s Public Works Department has been tasked with executing Austin’s bike-share program since a positive vote from City Council in January. But there has been little visible progress on the measure as of late. Meanwhile, New York’s bike-share program will launch within the next two weeks, with already 10,000 participants signed up for the service. 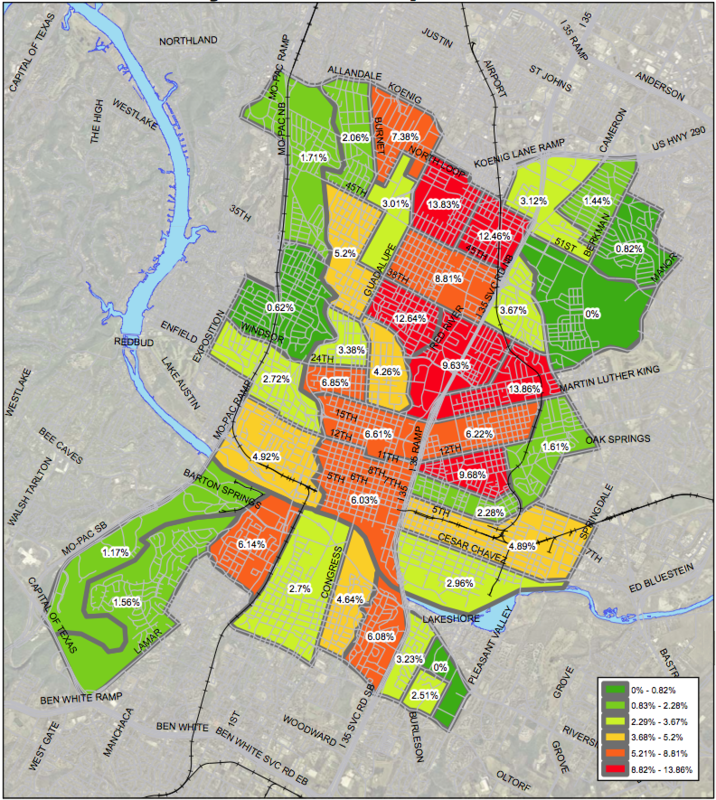 Map Says Many Austinites Bike to Work, But Do They Feel Safe? It’s no secret that Austin is a biking city. And while cities around the country are gearing up for National Bike to Work Day, riding to work is nothing new for Austinites: according to Census data, people here commute by bike four times more often than the national average. To prove it, the city released a map breaking down bike commuting by neighborhood. But while more people are pedaling to work, cyclists don't always feel safe on Austin roads. A new website supported by the City of Austin’s Public Works Department aims to connect experience bicycle commuters with those who want to give it a try. The “Bike Buddy” website features an interactive map to help cyclists find others who are biking in the same area as they are.